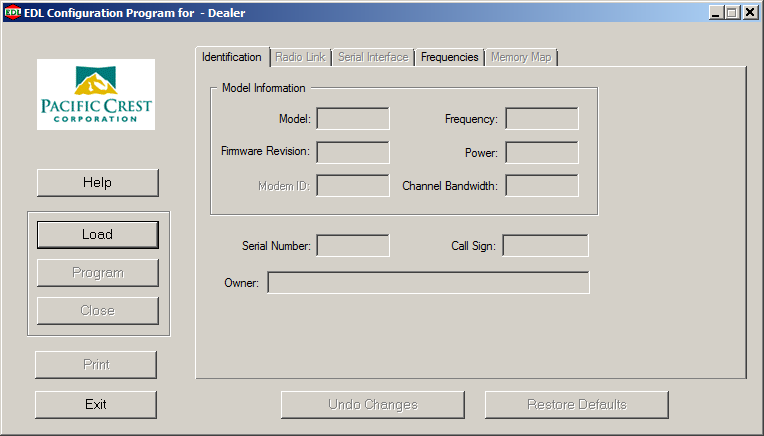 Download this program to configure an EDL II radio modem from Pacific Crest. Choose transmission protocol, set desired baud rate, tune transmit and receive UHF frequencies, etc. 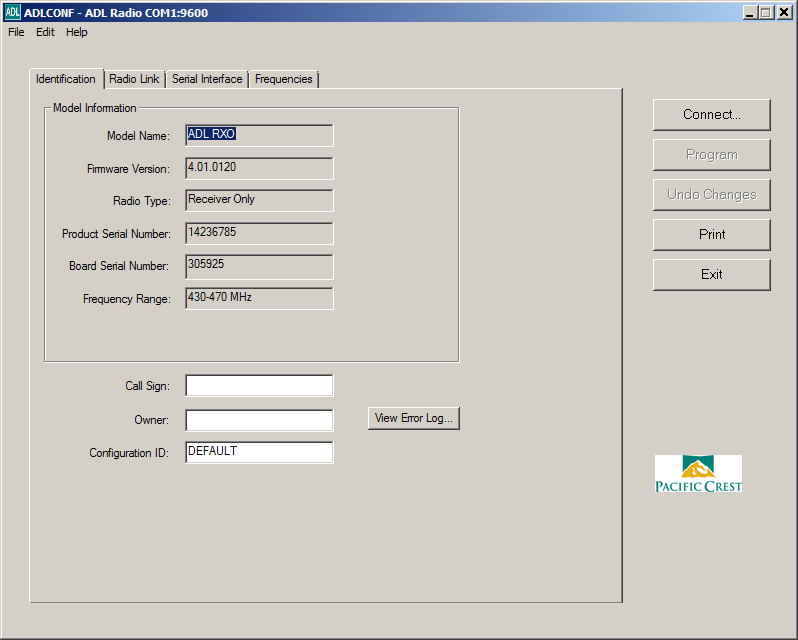 ADLCONF configuration software for all ADL and XDL radio modems.